Monaghan manager Seamus McEnaney during the Ulster Minor Football Championship preliminary round against Derry at Celtic Park. Picture Margaret McLaughlin. 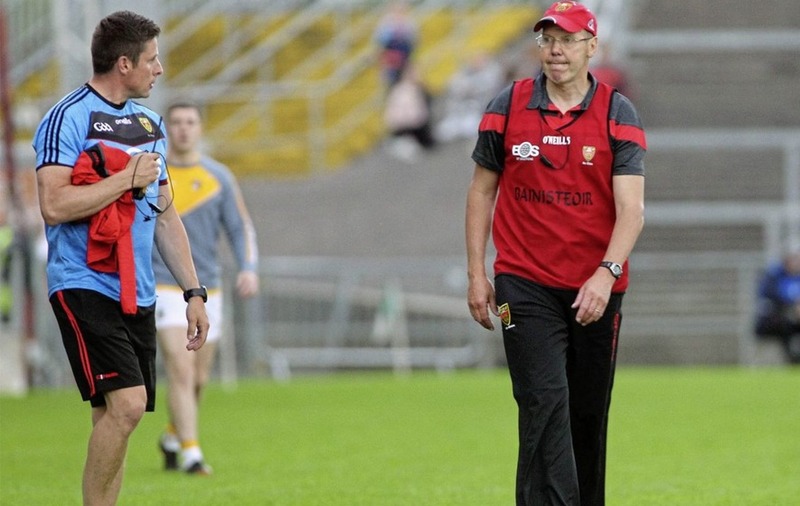 SEAMUS McEnaney could be set for a return to senior inter-county management with Down. 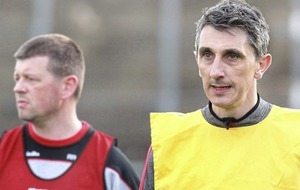 The former Monaghan, Meath and Wexford bainisteoir, who guided the Monaghan minors to this year’s Ulster title and a nail-biting clash with Kerry at the All-Ireland semi-final stage, is understood to have been contacted by Mourne county officials with a view to gauging his interest in taking over from Eamonn Burns, who stepped down in July after three years in the role. The Corduff native made no comment when contacted yesterday but The Irish News understands that ‘Banty’ is interested in the position. McEnaney joins Galway mentor Paddy Tally, who remains a leading contender for the position, while Rostrevor native Pete McGrath has also been linked with a return to the Mourne county dugout. 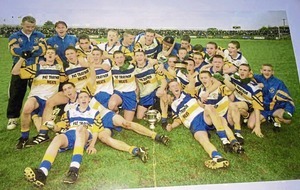 McGrath inspired Down to All-Ireland titles in 1991 and 1994 and has since taken the county’s U21 and minor teams before going on to take Fermanagh for four seasons and, last year, Louth. Like McGrath and Tally (who was part of the management team that guided Galway to the Division One final, the Connacht title and an All-Ireland semi-final clash with Dublin) McEnaney’s experience at inter-county level is beyond question. 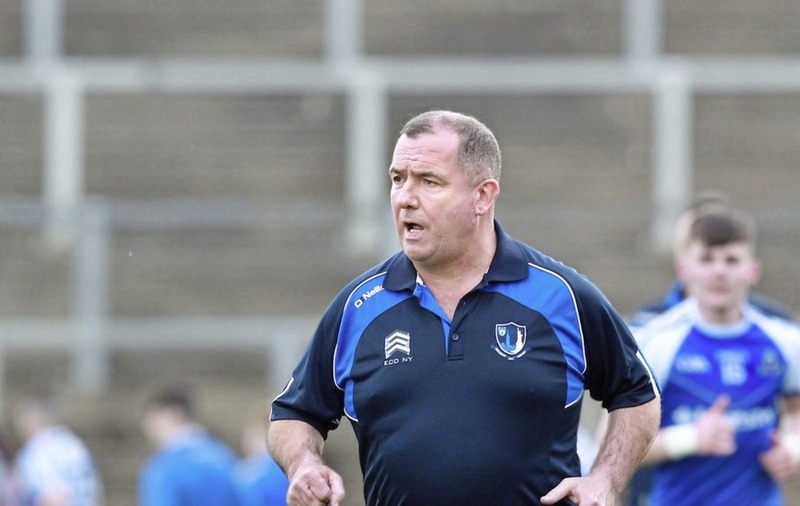 He was appointed Monaghan manager in 2004 and led the county out of the doldrums to the Division Two title in 2005 and to Ulster finals in 2007 (the county’s first in 21 years) and 2010. A spell in Meath followed and McEnaney propelled the Royals to the Leinster football final of 2012, a game the county lost by three points against Dublin. McEnaney went on to manage Wexford for a season before his team there came to premature end because of travel commitments. McEnaney was appointed manager of the Farney county minors this season. His charges lost their opener against Derry but recovered to beat Antrim, Donegal, Down (thanks to a remarkable second half comeback) and Cavan before avenging their first round defeat against Derry to win the title – only Monaghan’s second since 1945. The young Farneymen continued their run by beating Kildare at the All-Ireland semi-final stage but bowed out against Kerry despite staging another rousing rally that had seen them take a second half lead. Now he could be on his way to take over a Down side that showed glimpses of genuine potential under Burns’ reign including a surprise win over McEnaney’s native Monaghan last year which saw them return to the Ulster final stage. Burns stepped aside after Down lost to Cavan in Enniskillen in this year’s Qualifiers despite looking the better team and dominating the game for long spells. A Shane Mulholland and Steven Poacher partnership had been mooted but they have since withdrawn their interest. Poacher, whose success as Carlow assistant-manager has led to his name being linked with roles in the Mayo and Cavan management teams for next season, told The Irish News: “Good luck to whoever does step into the breach because they’re a great bunch of players and they’ve had a tough couple of years. “They’ve had a lot of criticism fired at them, and a lot of it unfair,” he added. “The players are putting in an effort and training four or five nights a week, and no players deserve that criticism. Inter-county playing now is a hard gig with the exposure to social media and the criticism that’s out there.